FatCal, Fat % and Carb % are determined by which zones you were in during your workout. 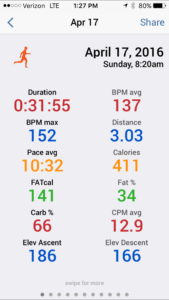 Ultimately, the total number of carb calories will depend on your heart rate throughout the workout as related to your VO2 max. In lower heart rate zones, you’ll tend to burn a higher ratio of fat to carb calories, while in higher zones, you will burn more carb-based calories. Currently Fitdigits only does the calculation on the completion of the activity, it does not support real-time calculations. You can view equations used at the bottom of ShapeSense’s article. Thank you for visiting us, reading this and especially for caring. As you may have seen from the Fitdigits website, our beloved iCardio, iRunner and iBiker have been licensed to us here at Fitdigits, a new company set up specifically to produce these programs and take them to the next level. As a technology and fitness fanatic, and a member of the original Fitdigits apps team, I am thrilled to be helping this next evolution. 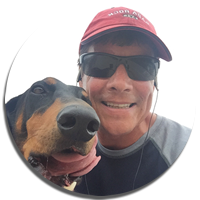 My goal is to share my love and enjoyment of an active lifestyle and the self-awareness gained by measurement and analysis. I’ll be honest… I hope we, together, can change the world by helping people develop healthy habits. And that is key – it is about We, not about Me. We need you to help us make this great! Most of you, our dedicated supporters, are wondering what to expect now. Well, you can expect a team of dedicated individuals will be totally focused on producing the best cardio heart rate training and tracking apps in the world. We will be working to layer in daily activity and health tracking and reporting, to help you have an incredible experience on your journey to your best you. We hope to bring a level of awareness about you, your body and your health, that you didn’t have before. From a more practical standpoint, you can expect, as we get this ball rolling, more frequent releases, expanded and enhanced integration of partners, improved data displays, and a more consistent user experience across platforms. Over the next few weeks, you will begin to see the Fitdigits name in relation to the fitness apps change over to Fitdigits. 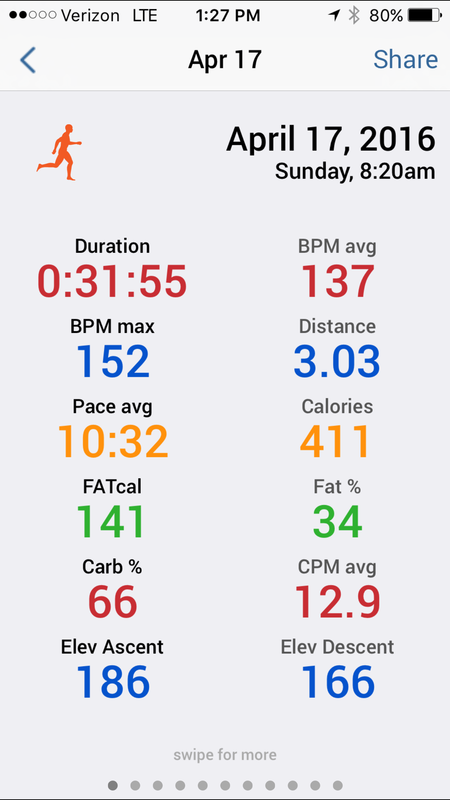 Over the next couple quarters, we are looking at Garmin Vivofit integration and overall Steps / Daily Activity integration from Google Fit and Apple Health, bringing Android feature sets up to par with the iOS apps, and our first foray into the watch modality with an Apple Watch app, just to name a few of our short-term goals. What we need from you in this transition time, and on our journey together into a healthier and happier life, is patience, understanding, support and participation. What is it that excites you? What is it that makes you happy with the programs, or that can be improved to delight you? Give us your feedback on our Forums or through customer support, we love to hear from you. We thank you from the bottom of our hearts for being with us on this path. I have been measuring body fat levels on professional athletes for the last 25 years. Ironically, the purpose is not to determine how much fat they have; rather, it’s to identify their ideal playing weight. Regardless of the sport, every professional athlete has only one goal – ­peak performance. Training a professional cyclist is similar to designing the perfect race car. The point is to have the biggest engine and carry the least amount of excess weight. The NBA player wants to maintain as much muscle mass as possible, until the point where it begins to decrease his vertical jump or first-step quickness. The main reason I measure body fat levels on athletes is to quantify fat pounds and muscle mass as separate components. The ability to separate these two variables helps fine-tune training programs that impact fat levels and lean body mass. Determining an athlete’s ideal playing weight only requires a simple calculation of adding the two variables together. Identifying an “ideal playing weight” for an athlete is relevant, but different, than a “healthy living weight” for an individual interested in maintaining general good health. The connection between being “overweight” and the increased risk of developing certain diseases began back in the 1950’s. Although the evidence of this connection continues to be highly debated, the overall consensus is that there is a negative health risk with being “overfat,” not necessarily being “overweight.” To date, the list of medical conditions shown to be associated with “overfatness” includes high blood pressure, high cholesterol, Type 2 diabetes, sleep apnea, osteoarthritis, and certain cancers. The key finding is that there are individual differences in the relationship between a person’s medical risk and levels of excess body fat. My recommendation to individuals whose main goal is to stay healthy is to consider measuring their body fat in a similar manner as the professional athlete, but with a different perspective in mind. While an athlete wants to maximize performance by achieving the lowest fat levels possible, the typical adult should view body fat measuring as a tool that helps minimize the risk of developing lifestyle related diseases. The only drawback with underwater weighing is its limited capability to break body composition into only two components: fat pounds and lean body mass. 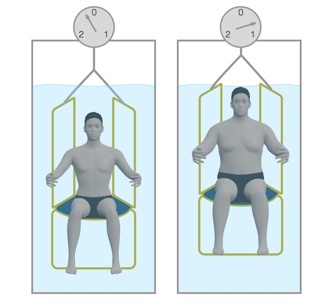 For example, a 200-pound male who is measured at 20% body fat via underwater weighing knows he has 40 pounds of fat and 160 pounds of fat free or lean tissue. Today’s new technology has drastically improved, allowing lean tissue to be further separated into bone, skin and muscle weight. An additional advantage of the new technology is the ability to compare upper and lower body segments with regards to these variables. For example, a test can tell a person he has 75% of his fat in his legs, or that his right arm and left leg have significantly more muscle and bone density than the opposite limbs. Quite fascinating! Today there are many other methods available for estimating percent body fat. It is important to realize that no matter which procedure you use, all measurements can be slightly off. The degree of error pertains to the test’s validity or reliability. Validity refers to a test measuring what it’s actually supposed to measure. Reliability is the degree that a test measure is stable and consistent, produced by retesting. The following should help you compare the validity and reliability of today’s most common methods of measuring percent body fat. Commonly known as the “pinch test,” skinfold measurement testing is widely used to determine a person’s body composition. 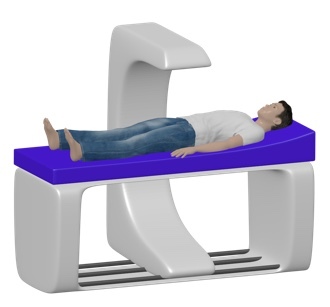 The test measures skinfold thickness at specific locations on the body. The tester literally pinches the skin at certain locations and pulls the skin away from the muscles so only skin and fat tissue are being measured. Formulas have been devised to calculate body composition based on the caliper measurements. ADVANTAGES: It can be 98% accurate and reliable when conducted by a skilled, trained tester. It is easily performed and fairly inexpensive. Scores are readily calculated by looking at a chart that shows age, gender, and the skinfold measurements. DISADVANTAGES: Skinfold measurements are difficult to perform when a person has a high amount of body fat. Also, the test will not be valid or reliable if the tester is not skilled or the calipers are not calibrated. This form of testing is popular, because the testing devices are relatively inexpensive and the test itself does not require a high level of proficiency to perform. The science behind this procedure involves the transmission of a low level current through the body. There are two ways to perform this test, either by placing electrodes on the ankle or the wrist or by standing on a specialized impedance scale. Both modalities are based on the premise that muscle’s high water content makes it very conductive. The basic theory is that the more body water that is present, the higher the amount of muscle per pound of weight. Unfortunately, most exercisers have a tremendous amount of fluctuation in their fluid levels due to sweat loss vs. fluid consumption. 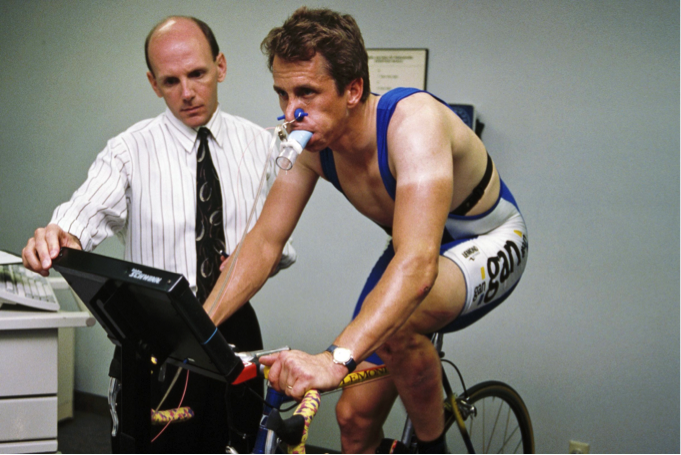 It is imperative – with respect to reliability – that pre and post-test settings pay particular attention to the subject’s exercise and fluid status prior to testing. ADVANTAGES: Testing can done quickly, inexpensively and in the privacy of your own home. DISADVANTAGES: It can have very poor reliability due to exercise and hydration states. Circumference measurements are becoming more and more popular due to the fact that they do not require expensive equipment or a skilled technician. The science behind girth measurements is based on the fact that fat tends to accumulate around the midsection. 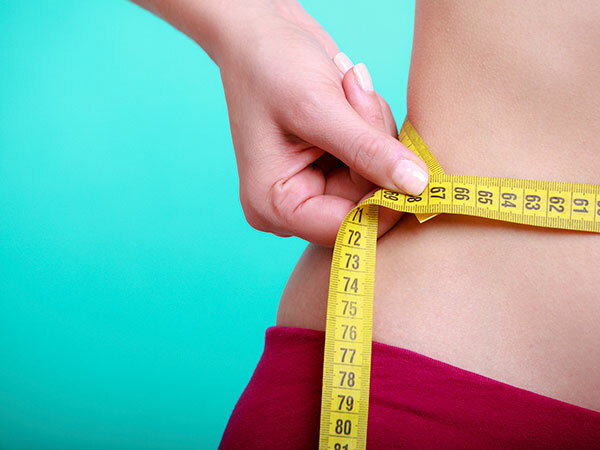 Consequently, if your circumference measurements increase, you are increasing your body fat. In other words, you can now correlate “inches gained” to fat pounds gained and “inches lost” to fat pounds lost. The calculations to predict body fat percentage can be done using a hand held calculator or online by entering the measurements in inches. ADVANTAGES: It is relatively accurate and very reliable when performed on populations who are average to above average body fat. The calculations can be easily performed. DISADVANTAGES: It does not work well on males under 7% and females under 15% body fat. Stay tuned for our next blog on the relationship between your genetics and body composition. You will learn how and when fat cells are created in our bodies, who is predisposed to be being over fat, and what you can do to maintain a healthy weight irrespective of your genetic profile. Are you intrigued by this article? Are you interested in learning more about your own genetic profile? Would you like to know how you can improve your health and fitness by knowing more about your genes? Email us: genetics@fitdigits.com. 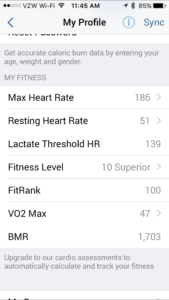 Personalized Heart Rate Zones are a crucial tool in planning, tracking and implementing workout routines in the Fitdigits app. The most accurate way to get custom heart rate zones is with a metabolic assessment done at a professional assessment center. However, that can be a pricy and time consuming option. A much more affordable option that also provides accurate training zones is a Fitdigits Fitness Assessment. However, if neither of these options work for you and you are not up to taking an assessment, there are many equations to find custom heart rate zones. 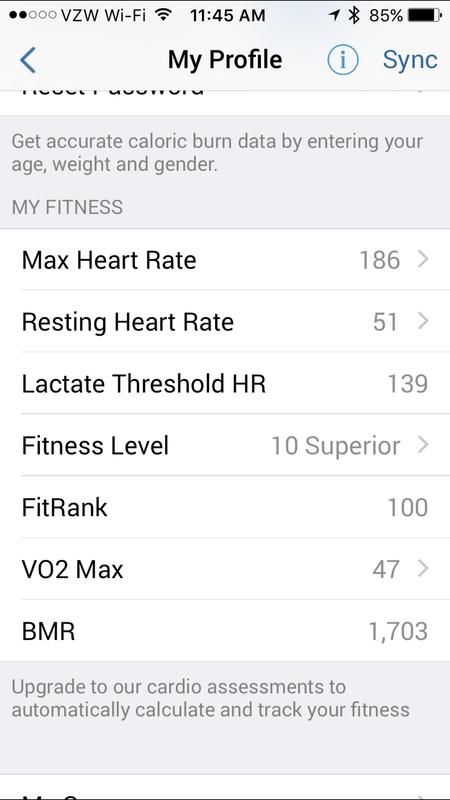 If you know your Max and Resting Heart Rate, you can get a wide variety of zones on the Determining Your Heart Rate Training Zones page. Here you will find HR zones using percent of Max HR, the Karvonen method, Zoladz method, Joe Friel Running or Biking formula, and ABCC/BCF guidelines. Along with dusting off the cobwebs on your favorite pair of shorts, Memorial Day weekend acts as the official harbinger of summer. Now that the weather has turned the corner, it is time to pack the bags and go for a vacation, because you deserve it! However, Memorial Day also marks the beginning of swimsuit season, so how do you keep the tummy tight during vacation nights? With that in mind, here are 8 Fit Tips for Travelers. More and more airports around the world now have gyms for travelers. Before you travel, see if the airport you have a layover at has an accessible gym. Instead of hitting the bar for a cocktail, hit the treadmill to burn some calories. If your airport does not have a gym, use the airport as your own personal track and walk laps around the terminal. Find some space in your luggage for some exercise tools to allow you to workout under any condition. 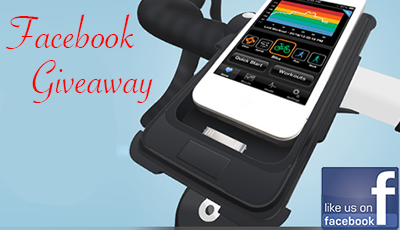 An example of some items are bands that you can use for strength moves, DVD for that motivational boost, the Fitdigits Saddle iPhone mount and a jump rope so you can do cardio right in your hotel room. Of course, don’t forget your sneakers! 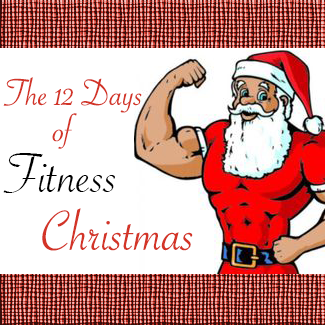 Book a hotel that offers a fitness center or a free pass to a local gym. Many hotels these days offer fitness gear to use in your hotel room as well, so check the website or call the front desk to inquire. You can also stream free workout videos using apps such as DailyBurn or on YouTube so you can workout right in your room. Set your alarm clock for an hour earlier than you planned to wake up and get the workout in before the day gets going. Otherwise, you will run out of time and energy, while finding plenty of excuses to ditch the workout all together. Whether you exercise for a full 30 minutes or split it up into three separate 10-minute bursts, you reap the same benefits, if not more, according to this article in the New York Times. So if you don’t have a full 30 minutes to an hour to workout, remember something is always better than nothing. Aim to squeeze in 3 ten-minute intervals of activities. Some examples are speed walking to pick up breakfast for the family, lunges and pushups before taking a shower, or jumping jacks or mountain climber intervals when you return from the day’s adventures. Being a tourist can give you a workout as long as you plan it right. Choose activities that get you moving like a hike, bike ride and swim or just explore the city by foot. You never truly know a place until you get lost there, so go out for an aimless walk and enjoy the new scenery. Make sure to check with the front desk first about safe streets and areas to explore. Otherwise, opt to walk to destinations over driving or taking a taxi to fit in a workout when time is limited. Fitdigits’s iCardio app will help you track calories burned during each activity like window shopping or a trail hike, this way you can plan your meals accordingly and not overindulge if you happened to be sedentary one day. Fitdigits syncs with the app MyFitnessPal, which allow you to track your caloric intake accurately. For those who enjoy yoga, you may find a fun new twist on the class structure depending on your destination. Heading to the mountains means you may enjoy a mountainside morning flow class, while those headed to a lake cabin may get a chance to try yoga on a stand up paddleboard. Trying out these new types of workout classes gives you that sense of adventure you seek during your travels while still getting in a good sweat session. Groupon and LivingSocial are great sites to check for discounts on such classes.